Oliphant Ontario; a kite boarding paradise! Oliphant Ontario has become one of the IT spots to kiteboard in Ontario. Because of the large beaches, shallow temperate waters and consistent wind it is a haven for experts and has schools for beginners. But before kiteboarding became popular this sleepy cottage town was known for its shallow waters and island cottages. I remember Oliphant from drives with Great Uncle and running around along the extremely shallow shoreline. I have heard that back in the 1940's that the cottages were so small they resembled bird houses! 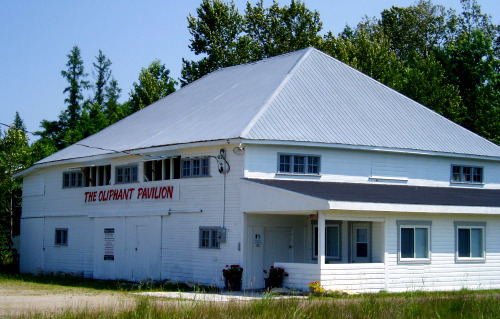 Oliphant is definitely more rustic than many of the Lake Huron towns further south where the historic cottages are being replaced by retirement homes. Oliphant has a restaurant. Thats it. No Main Street, no general store, no hotels. The big white pavilion is one of the most recognizable buildings in town. 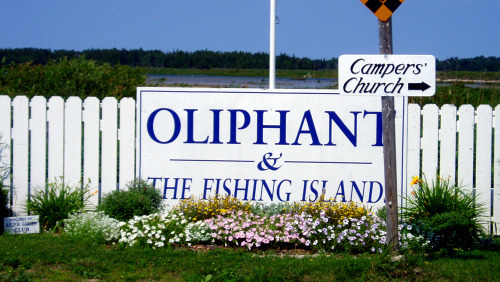 Still if I ever sell my cottage in Southampton, Oliphant is where I would cottage next. What Oliphant does have is the Fishing Islands, which you might mistake for the mainland during a seiche or periods of low water levels! There are cottages on the larger islands which usually you can access only by boat. However, a few years ago (around 2007) I saw cottagers emerge from their boathouses with SUVs. I have always wanted to take a boat around the Fishing Islands but it is something I have yet to do. Oliphant also has a natural occurring fen that you will notice if you are driving between Oliphant & Red Bay. By definition a fen is a type of wetland that is fed by ground water as opposed to rainwater. The water's acidity is neutral or alkaline as opposed to a bog which is acidic. 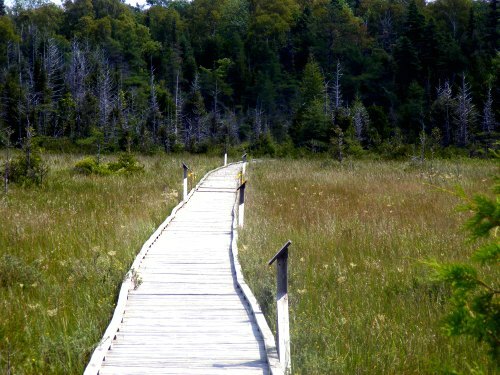 It is a great nature walk and an excellent spot to bird watch and search for local wildlife. Even though Oliphant Ontario has become popular with kiteboarders it is also an excellent spot for a family beach day. The shallow waters make it excellent for young swimmers. If you are trying to decide which area to visit for beaching versus kiteboarding here is a rule of thumb. 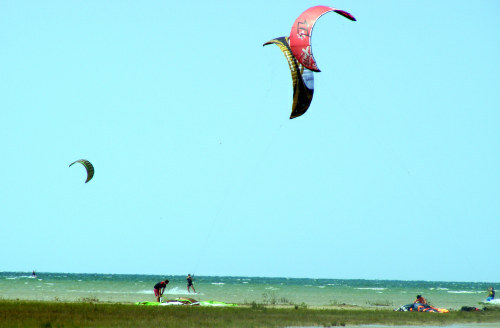 Oliphant North is best for kiteboarding, it has a larger beach area and the bay holds up to 50 kiteboarders. Look for a launching area at the end of Merry Street at Sandy Bay Cove. Oliphant South has designated swim areas and is best for beach goers. There is a smaller bay that will only hold up to 20 kiteboarders between Lonely Island and Whiskey Island. 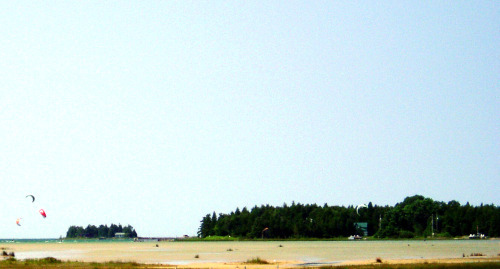 Oliphant is between Sauble Beach and Red Bay on Lake Huron. If you are looking for amenities like groceries and a hospital you can pop over to Wiarton or Sauble Beach. Return HOME from Oliphant Ontario.